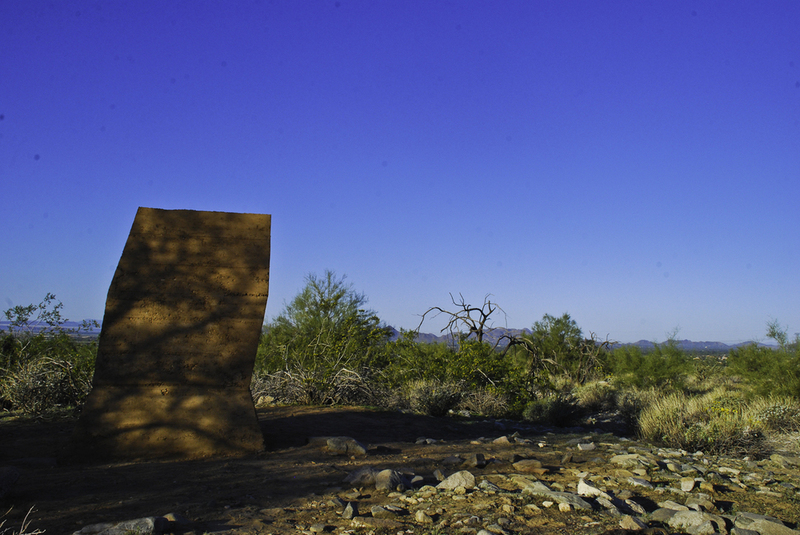 A rammed earth monolith appears mysteriously in the pristine desert surrounding Taliesin West. Who built this and why? Is it oriented towards some cosmic event? It's geometries, abstracted from those Frank Lloyd Wright commanded during Taliesin's construction, will erode, soften, and disappear over time. The mystery of the monolith will only deepen.